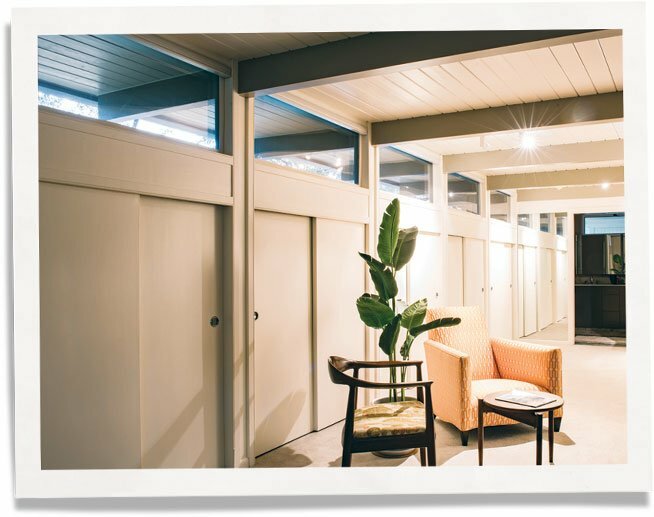 The Mid-Century Modern Home was a gem, but like many vintage homes, it had a few wrinkles that the new owners, Greg and Eddie, would have to iron out. One of their biggest problems was how to stop window condensation that repeatedly formed on their clerestory windows. The house was built in 1959 for dress designer Ed Cupaioli and his wife Margaret, an NBC radio and Broadway singer. 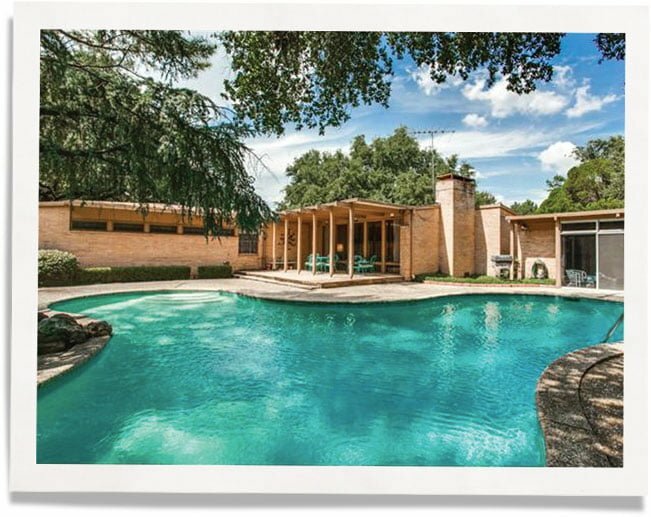 It is a mid-century modern with carrara marble flooring throughout, red oak molding that makes the walls look like Japanese shoji screens, large windows and a free form pool outback. The couple entertained in the house, which saw its share of illustrious guests: Tony Bennett, Frank Sinatra, Doris Day, Ann Miller. It is easy to picture them there. When Mrs. Cupaioli died at 96 and the property went up for sale in 2012, prospective buyers made offers to tear it down and build something new. 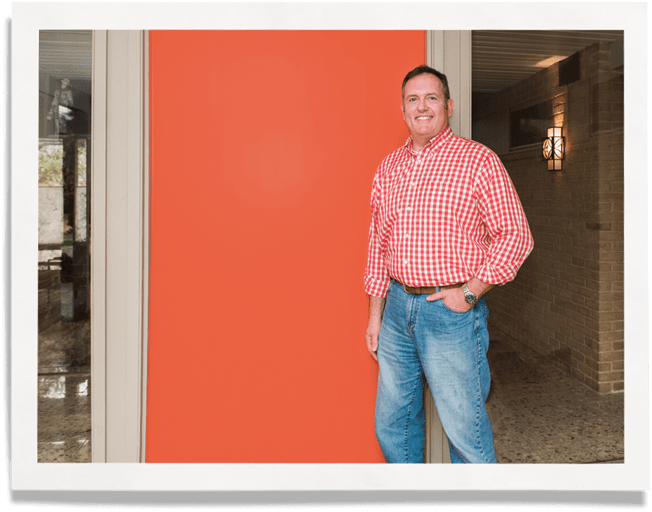 Greg Nieberding and his partner, Eddie Ortega, bought it to restore and preserve. A gem. 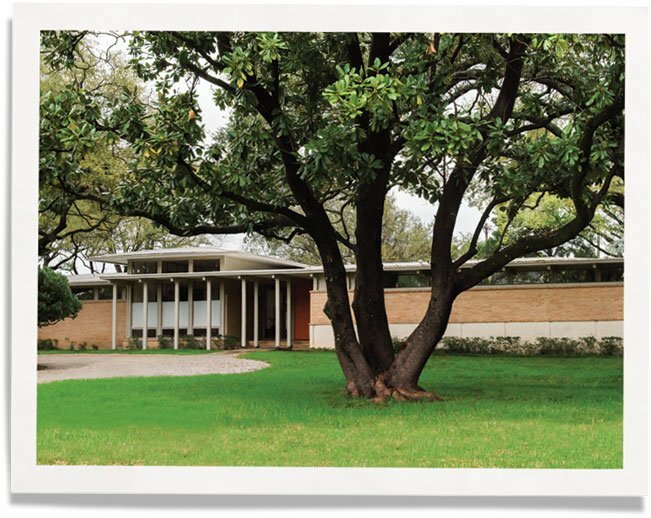 The house was designed by Jack Wood, who studied under Eliel Saarinen at Cranbrook Academy of Art in Bloomfield, Michigan. One of his classmates, Greg said, was Florence Knoll of Knoll furniture. But the roof needed replacing. And the fog forming on the clerestory windows in the bedroom had the couple searching for a window condensation fix. Since the glass was built into the walls, it would have been a major project to replace them. 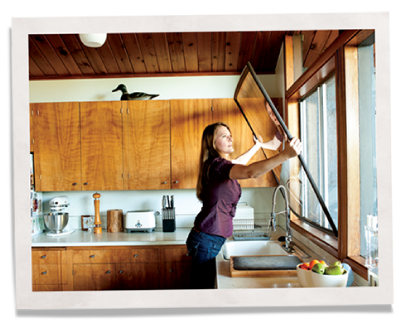 Such window challenges aren’t uncommon in custom-designed mid-century modern homes, but removing window condensation can be tricky. 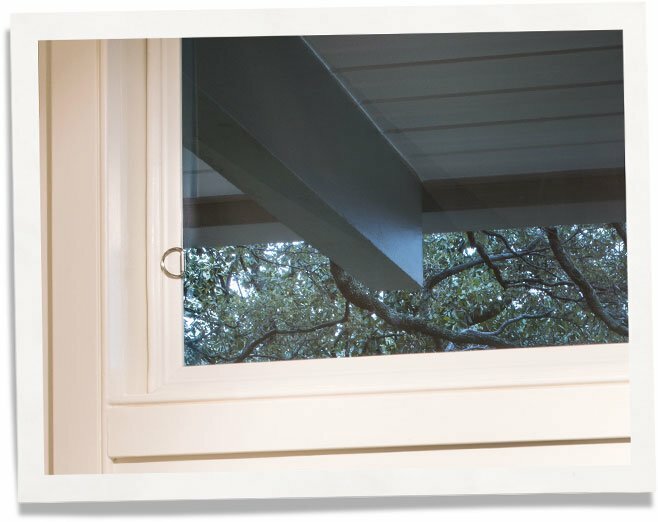 Greg and Eddie turned to Indow window inserts which block moisture from reaching the window panes. They selected Indow’s Standard Grade inserts. Not only did the window condensation vanish, but the drafts did too, it became quieter. And the inserts corrected the flaws around the edge of the tinting Greg had applied to the clerestory windows. The Indow inserts gave it a finished look. It’s in a gated community with friendly neighbors. Former President George W. Bush and his wife, Laura, welcomed Greg and Eddie by knocking on the door and presenting a book and handmade Christmas ornament the former president had painted in his spare time. Greg said he’s pretty sure Mrs. Cupaioli would be happy with what he and his partner have done to restore the house.